We all like to fancy ourselves Michelin star chefs now and then. Whether we’re cooking up some sizzling spicy chicken fajitas or a turkey dinner with all the trimmings, we enjoy the process of preparation, the build-up to that delicious food and the ultimate applaud when your food was incredible! Unfortunately, it’s not always the case that it goes so well. And sometimes your culinary triumphs turn into disastrous slumps. We remember the times when the food is burning whilst you sweat over the grill flapping the smoke alarm with a kitchen towel and you wonder why you ever decided to make this stupid apple pie?! We all love a bit of charcoaled chicken to make the soul feel good, but this just takes it too far. I can see a cloud of ashy smoke emitting from the chicken leg as someone takes a bite. It’s a no from me. 2. Hot dogs! Get ya hot dogs! Fresher than ever! This new recipe means you can enjoy tasty hot dogs whilst also keeping minty fresh breath! Erm, no thanks. Whoever did this, you’ve messed with our head! When you look at this, you can’t help but envision the taste. And it’s gross. I’m as shocked as you are. Something tells me this guy is under 18 and thought it’d be ‘fun’ to make his pasta blue. Well, you’re the only sucker kid, because that won’t taste good. 4. How do you like your eggs in the morning? I like mine blue. What possessed this person to do this to beautiful, delicious, creamy eggs? If you put me off my morning eggs benedict, then I’ll certainly be feeling blue. I can’t say I’m not impressed… but I guess I’m just trying to figure out why? Spaghetti hoops seem to be sending everyone a bit loopy. Not sure about the taste of this one but it sure looks like vomit. Clearly, this guy has never used his kitchen utilities before today. So strong that it stuck together even when the lid was pulled? The cook has certainly achieved something. It may not taste good but hey, why don’t you consider a career in bricklaying? Well, that’s one way to cook your pasta… If you like it burnt along with your house. Since it’s still edible, I’d be okay with this. Though it does look pretty hard judging by this girl’s facial expression. Oh well, anything for cookies. Don’t ever do this to mac ‘n’ cheese. Ever. It is a cardinal sin. Wow. This chef has truly gone above and beyond. Obviously, this one is super cool. Pretzels disguised cigarettes? We love it. We can appreciate how talented this chef is but nevertheless, it is not the most pleasurable on the eyes! Culinary tip number 1: Always keep an eye on the oven when you’re cooking a butternut squash. And if you hear a loud ‘BANG’ you haven’t done your job properly. To be honest, this method would actually work, I’ll give the cook his due. Is that rice or pasta? We can’t tell… I just appreciate this chef attempted to make his masterpiece look good, with a blob of parsley on top. Truly scrumptious. Unfortunately, this is how most are baking experiences turn out. Though if it tastes good, ain’t nothing gonna stop me eating every last bite. I hope you feel at ease now. 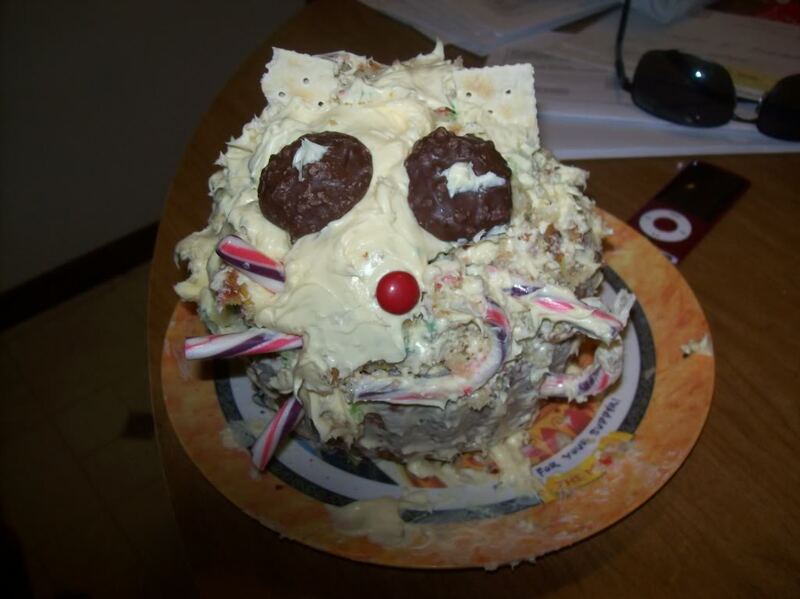 You surely can’t be as bad as these cooks? Or maybe you are? Comment on Facebook with your biggest cooking disaster and don’t forget to share these hopeless chefs with your family and friends.